It looks like the champion-vs.-champion fight between T.J. Dillashaw and Henry Cejudo is going to happen. A potential super fight between Dillashaw and Cejudo has been rumored since both fighters won their title fights at UFC 227. Dillashaw successfully defended his title on said night and Cejudo shocked the world as he knocked off the longest reigning UFC champion in history Demetrious Johnson. According to Dillashaw who appeared on the Joe Rogan MMA podcast, the UFC is strongly considering booking the champion vs. champion fight for a yet to be determined card later this year. 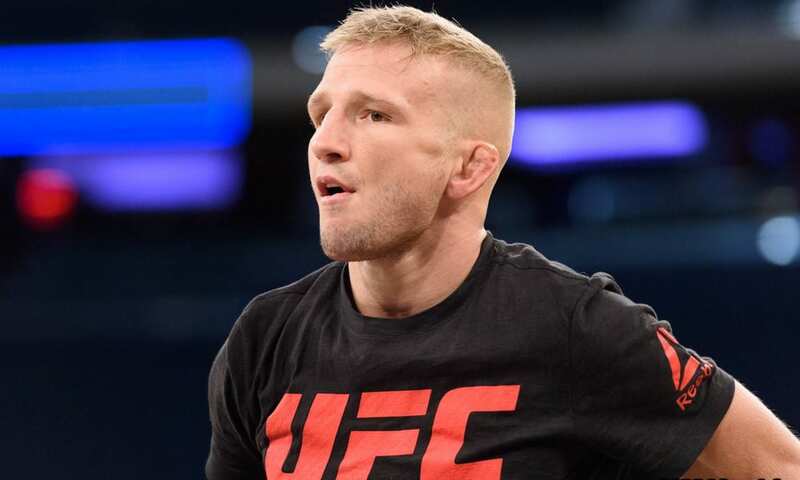 Dillashaw eluded to the one potential sticking point on putting the fight together. That is what weight the fight will take place at. Both men can undoubtedly compete at either flyweight or bantamweight. However, only one man can challenge for a title. Ideally, Dillashaw would like to move down and challenge Cejudo at 125 pounds. According to Dillashaw, that’s just fine with Cejudo. The ultra-competitive Dillashaw will have much more on the line if these two meet than gold. 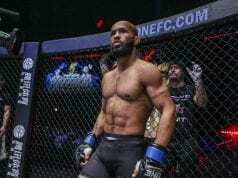 He relishes the opportunity to become the UFC’s third simultaneous two-division champion alongside Daniel Cormier and Conor McGregor. 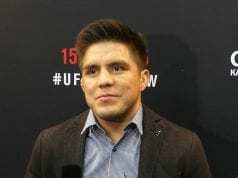 And the two-time bantamweight champ wants to prove that his wrestling is on par with the Olimpic Gold medalist Cejudo.